Sign-up sheets are opt-ins for more information. This is common at trade shows where businesses seek brand building and lead generation. 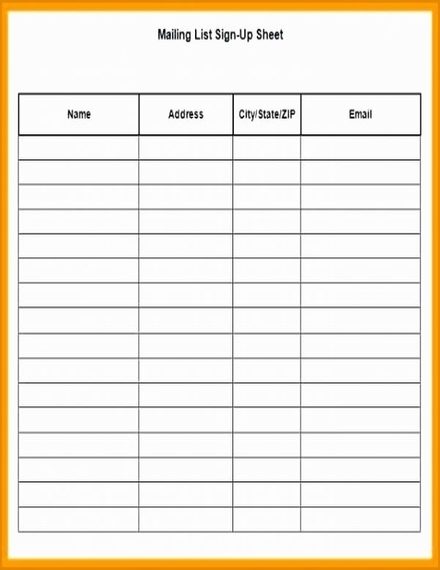 A sign-in sheet could also include the type of information the consumer seeks from the company. 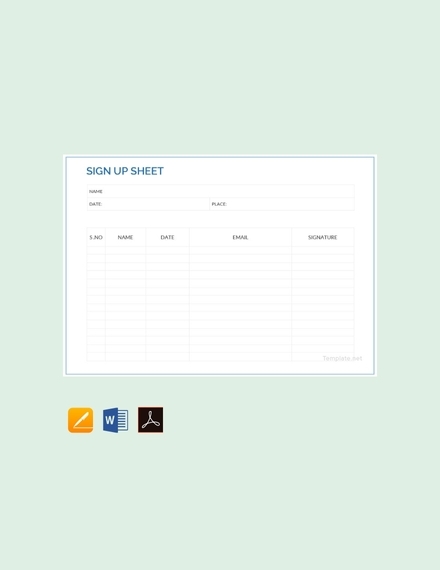 Sign-up sheets can also be used to collect attendance for classes and seminars, track visitors entering and leaving a business or organization, collect data on who is attending an event and why, and record employee hours at work or training event. These are just a few potential uses for a simple form that can provide highly useful information. 1. 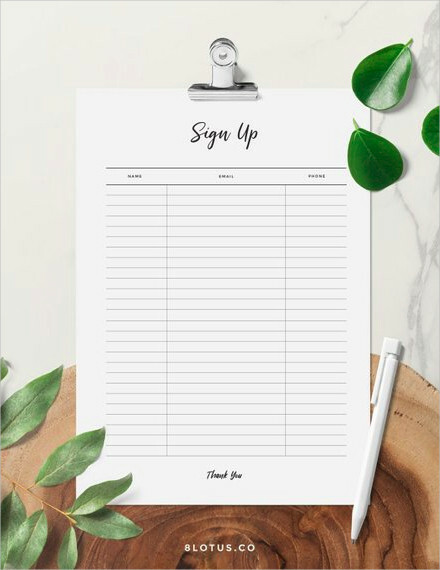 A clean design: Don’t clutter your sign-up sheet with too much information, and leave adequate space for people to include important details. 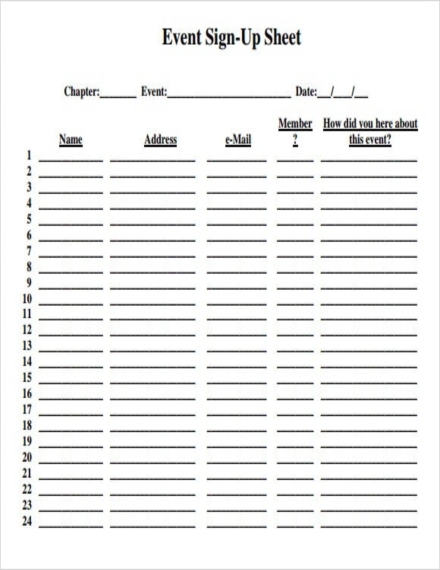 A sign-up sheet asking for too much information may only distract or dissuade people from signing the form. 2. Readable: Select a font that is clear and legible, and use separate columns for each item of information. 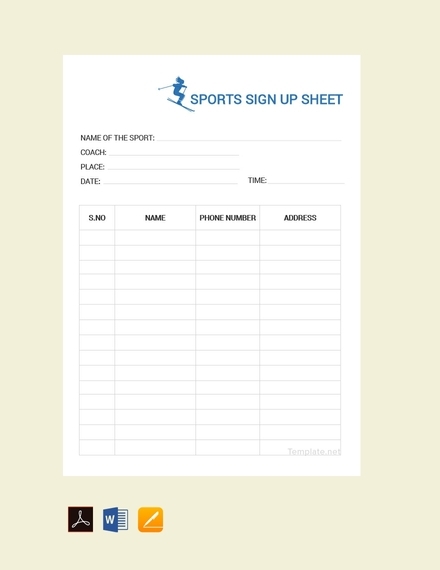 Sign-up sheets should be easy to read and use. 3. Names listed alphabetically: If your list has names printed for a class, conference, or other event, list names alphabetically so that attendees can easily find where they should sign. This type of organization will save time and hassle for everyone. 4. Get permission to send a newsletter: Don’t assume that it’s okay to start sending out mail just because someone provides their contact info on some sheet. People want to know what to expect when providing their private information. 5. Offer an incentive: If you are trying to build customer relationships or generate a mailing list, consider providing a discount on services or some other incentive for signing up. 6. Follow-up with attendees: Depending on the situation, this may involve sending thank-you notes or information about future events, or requesting feedback. You may also want to consider reaching out to people who were expected to attend a class or event, but didn’t sign in. Contacting them can help you gain information about why they chose not to attend and help maintain a connection for your future events. 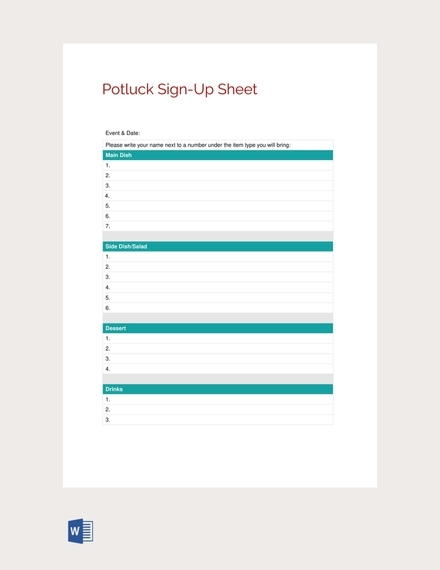 Sign-up sheets help business owners track event participants so they can follow up with surveys, lead generation, and even future event notification. These are particularly helpful in keeping up with the names and important contact information of the event’s attendees. 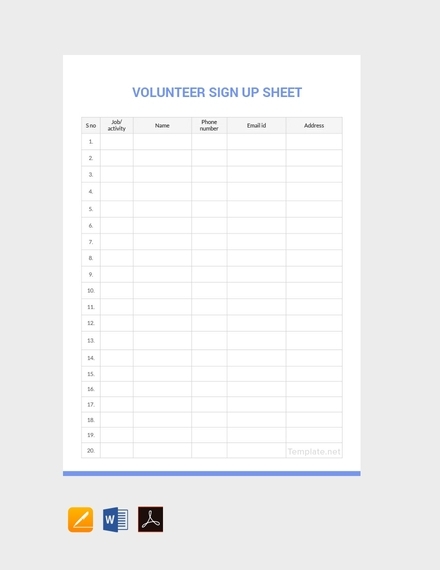 Sign-up sheets are very easy to design. You simply have to know what type of information you want to collect so that you can have attendees register their details on your document. Determine the desired data: Event coordinators want data on who attended, with at least one form of contact information. This means name and email or name and phone number. There may be reasons to include other data fields for collection, which is why you should personalize your sign-up sheet as much as possible. Try to keep your audience in mind while you are requesting for information. Understanding your audience increases not only the amount of information gathered but the validity of it. Pre-registration method: Make a decision if there will be pre-registration or signing up at the event. When pre-registering, technology offers many tools to make it easy. For example, WordPress offers plugins for business owners to use directly on websites and digital advertising platforms. Eventbrite is an entire platform designed for event planning and execution with online registration, reminders, and promotion. These platforms export data into spreadsheets for organization retention and data manipulation. The export functions also make it easy to export a sign-in sheet. 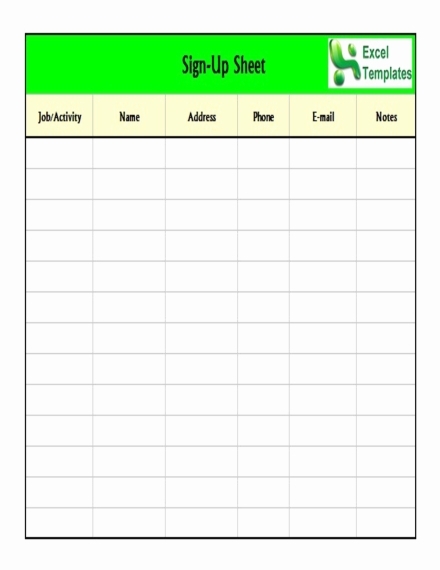 At-event sign-up sheets: Create a sign-up sheet using spreadsheet software such as Microsoft Excel. Set the columns as data choices such as name, email, address and other desired information. Everyone has format preferences in terms of font and size. Bolding column headers and aligning them to the left margin of each column make reading easier for attendees. There are ready-to-use sign-up templates in other word-processing platforms. 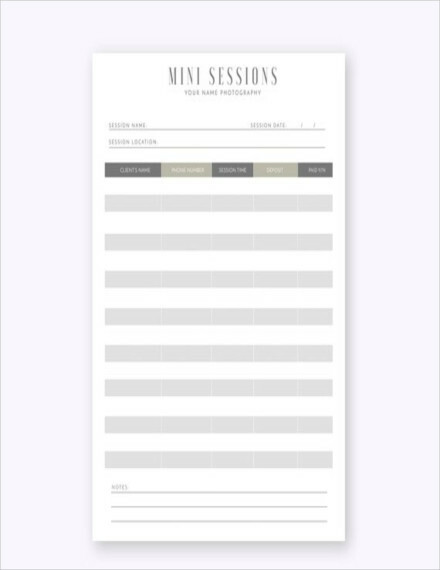 Templates make it easier to make a pretty sheet with headers, colors and information boxes. This requires less work to create and lets organizers edit desired data quickly. Google Docs is a very versatile and useful web-based word processor. 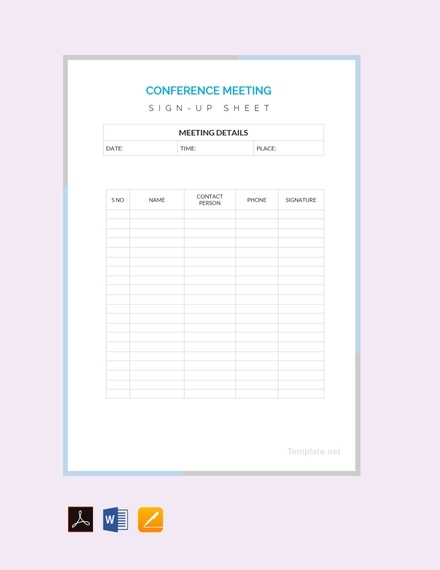 If you are running a meeting, project, or event, you can use this to create your own customized sign-up sheet, or, even better, you can use an existing template to make the task even easier. Either way, both can be easily done from the Google Docs website, and the files you create will be stored directly in your Google Drive account. 1. Go to Google Docs: Open a new browser tab or window and visit the Google Docs home page. 2. Sign in: Under the SIGN IN box, type in your Gmail email address and password. This is your Google ID for all of Google’s services, including Google Docs. Click the SIGN IN button to proceed. Upon logging in, you will be brought to the main directory. If you already have existing documents, you can see and access them from here. 3. Create a new document: Click the large red circle with a plus sign on the lower right corner. A new window or tab will open with a blank document of the web-based word processor. 4. 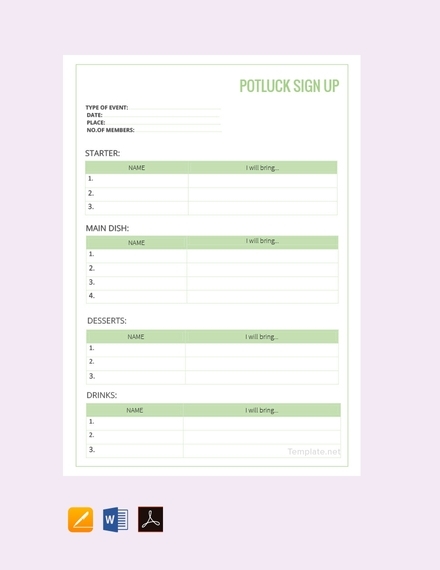 Insert a table: A good sign-up sheet is tabular so that it will be easy to read and fill out. You will at least need to know how many columns or headers you will need for your sign-up sheet. Click the Table option from the main menu bar then Insert Table. Click on the dimensions you need for the table based on the number of columns and rows you will need. The table will be added to your document. 5. 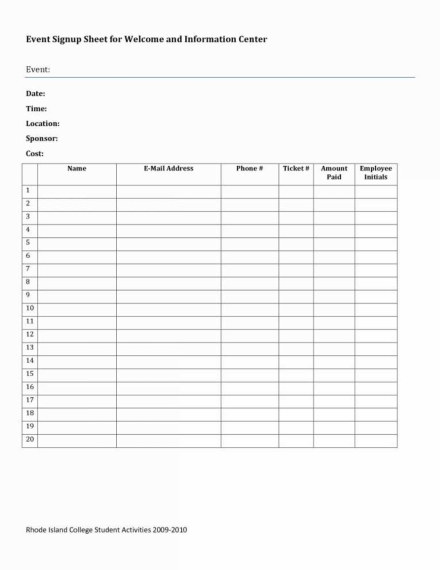 Name of the sign-up sheet: On top of the table, type in the name of the sign-up sheet. Is it an attendance record, a volunteer sign-up sheet, or a sign-in/sign-out sheet? You can also add a description if you want. 6. Put the column headers: On the first row of the table, put the column titles. 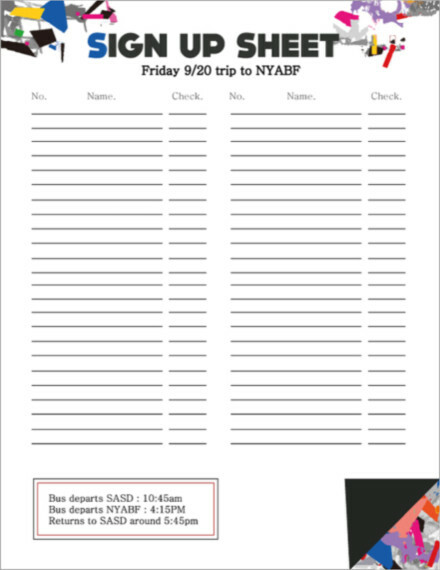 Since this is a sign-up sheet, you will need at least a column for names. The other columns will depend on what else needs to be filled up. 7. Put row numbers: It will make the sign-up sheet easier to count if you put row numbers in front of each row. Start with 1 until you reach the end. 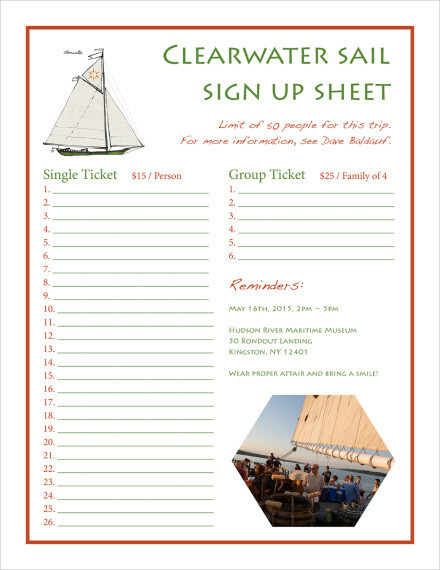 You can have more rows, in fact, fill the whole page with it, since you may not necessarily know how many will sign up. 8. Exit the document: When you’re done, you can simply close the window or tab. Your file will be automatically saved. You can access your sign-up sheet file from Google Docs or Google Drive. Does “sign up” have a hyphen? Sign up is a verb phrase meaning to enlist, as in an organization or group; to register or subscribe, like in the phrase “to sign up for a class.” As a noun, signup or sign-up refers to the act of enrolling or subscribing. When used as an adjective, it has a hyphen. What is the difference between sign up and sign in? Sign up means “to register; to create an account.” In computing, sign in and log in are synonyms. Both mean “to open a session with an account that is already created.” There is one difference: the derived noun login, which refers to a username; a session under that username” exists, but there is no such noun as a signin. 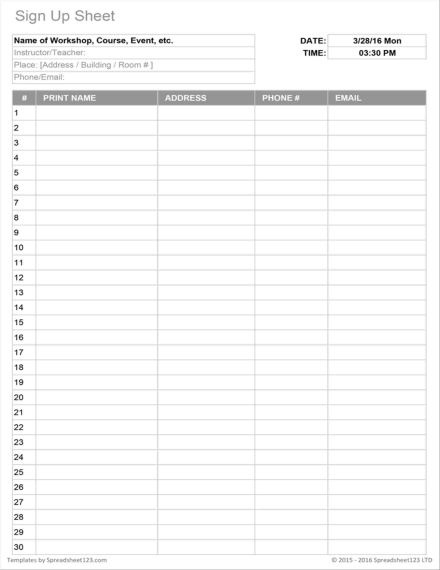 Organize your audience’s contact information with a good sign-up sheet personalized to match your needs. Download one of the templates we have provided in this article to make the job easier for you.